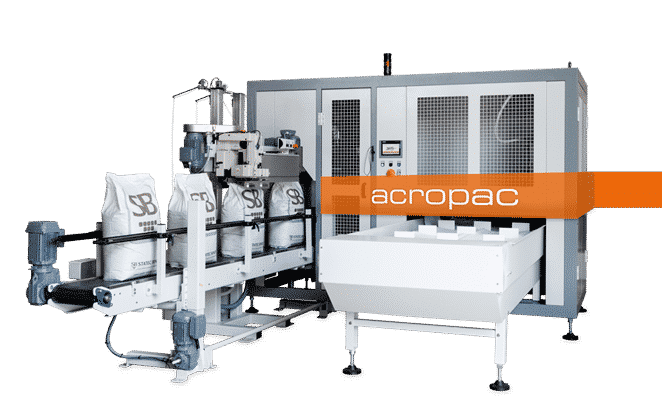 Bagger Systems | Automated Solution | ROBOVIC Inc.
Robovic integrates internationally known Statec Binder baggers systems. 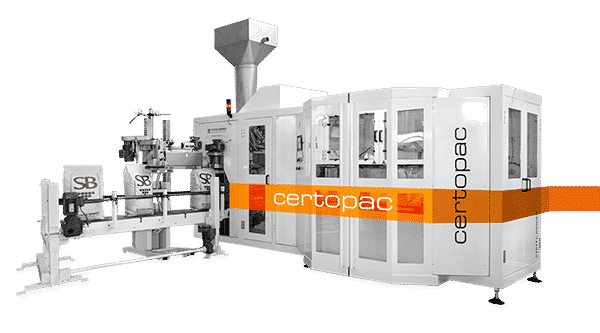 Their baggers are high performance automatic systems designed to bag a wide variety of products. 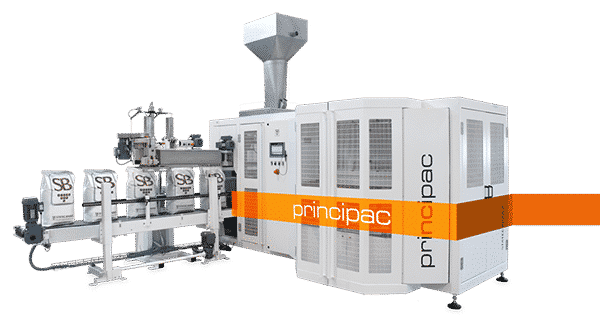 These systems adapt perfectly to a wide range of industries such as animal feed, food industry, seeds, agriculture, aggregate, chemical products, minerals etc. 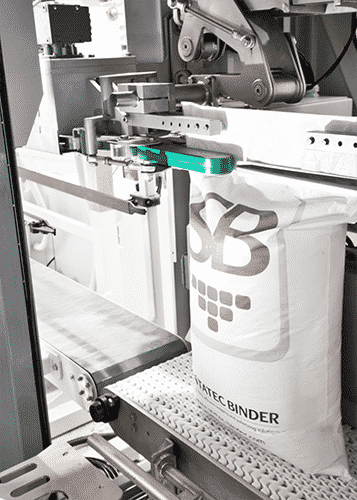 Statec Binder baggers systems are equipped with very precise weighing systems offering two types of filling, by gravity or strap, depending the type of product bagged. The complete range of baggers offers speeds up to 2400 bags per hour with maximum capacity of 10 to 80 kg per bag. These solutions adapt to gusset, polypropylene, polyethylene and paper bags. The baggers are equipped with different closing systems that vary according to the brands, such as Fushbein or Union Special. Contact parts in stainless steel. Integrate palletizing solutions to store bags. Gravity, insertion or accumulation conveyor. Balance conveyor to control product weight.